The Toyota Hilux again put its stamp on the South African new car market by ending November 2018 as the best-selling bakkie for the month. Not only that, but it was also, once again, the number one selling vehicle in the country. 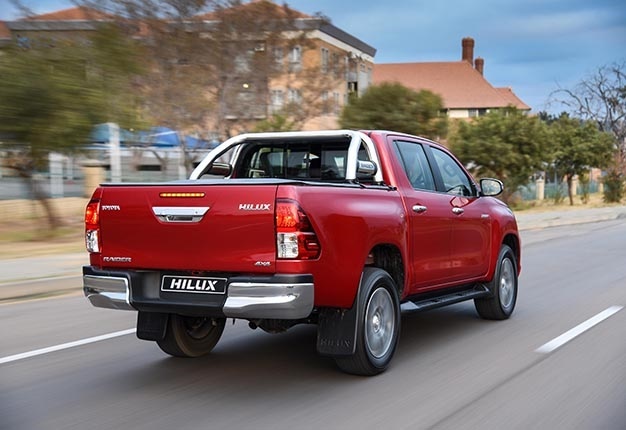 Following another strong showing, the Hilux amassed a sales figure of 3 235 units for the month, while its nearest rival, the Ford Ranger, could “only” muster 2 506 units. Both the Hilux and Ranger were the only bakkies to have sold in excess of 2500 units. The Nissan NP200, the sole remaining half-tonne bakkie in SA, slots into third place with 1698 units, followed closely by the Isuzu D-Max (formerly known as the KB) on 1 418 units. The Nissan NP300/Hardbody did its bit for the Japanese manufacturer to slip into fifth place on 1002 units. With a quite a big gap between fifth and sixth place, the Volkswagen Amarok managed to be best of the rest on 273 units, while the GWM Steed takes seventh place with 167 units. In eighth place is the Mahindra Scorpio Pik-up with 166 units, and in ninth place the Nissan Navara (142 units). The Toyota Land Cruiser Pick-up rounds out the top ten on 128 units sold.